Sale! Save up to 80% off! eBay ride on car top seller! 100% AUSTRALIAN | 180,000+ FEEDBACK | FAST SHIPPING! Big Offer Only this Week! Save up to 60%! Top Selller! Clearance! Biggest SALE! Nice Cars with Nice Price! Officially Licensed. Iconic BMW S1000RR Design Cues. Extra 20% OFF! eBay Ride On Car #1 Seller! Ends Soon! All added features included push button start, push handle and sun shade canopy. Also features MicroSD card slot and AUX input to make sure kiddo gets their fav Jam on! 3 in 1 can be used as a stroller, walker and riding car! And that’s speedy by kids standards. But not to worry. The triple wheel format will give the Bike lots of stability with its anti-slip tyres for added traction. Other great features include working headlight, contoured seat, ni. This is perfect for kids aged 3 and above. Powered no less than an upgraded 50W twin motor, the Range Rover replica can do from zero to 8km/h depending on the child's weight. Kids Electric Ride On Car. After all, safety is first with any vehicle, large or small. 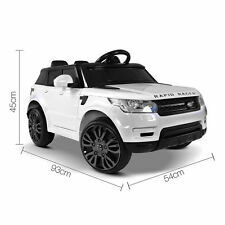 Kids Ride On Range Rover Coupe - Black. Powered no less than an upgraded 50W twin motor, the Range Rover replica can do from zero to 8km/h without breaking a sweat. 2017 THOMAS THE TANK RIDE ON TOY. Child Total Weight capacity 25kg. We will work with you to resolve any problems that may arise. THE TRUCK IS IN GOOD CONDITION. PICK UP IS NOT AVAILABLE ! Product Weight GW/NW: 5.4/4.7kg. 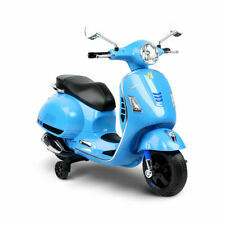 Equipped with a built-in Mp3 connector and sound system you can also play your favourite tunes. Steering Wheel Sounds: The steering wheel buttons include horn and music sounds.Seatbelt: The ride on car has a seat belt fitted, to keep your child safe if using the parental remote option. PJ Masks 6V Super Quad. Travels at a safe speed of 2MPH to make sure your little racer is has a fun ride. Parcel Locker 10034 23267. Ride on vehicle. SUPER FAST DISPATCH! We would appreciate the opportunity to make things right. 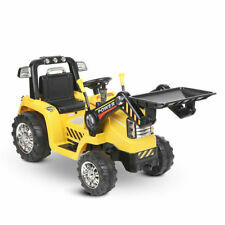 This slick and stylish ride-on-car is perfect for the suave kids out there! This toy is for kids aged 3 and up to 35kg. BMW X5 Black Kids Ride On Car. Easy to assemble. Model: X5. BMW authorized ride on car for kids. RIDE ON Wiggles Big Red Car Excellent condition Was purchased brand new Forward and reverse motion with the click of a button Kids have out grown More than happy of you want to look before bidding Item located in Bentleigh 3204 Victoria Comes with charger All you do is unscrew the seat and charge the battery at a regular Powerpoint My kids had lots of fun in this! Kids Electric Ride on Motorbike Police Style Toy Bike - Black & White. Kids Ride On Motorbike. Electric Kids Ride On Motorbike - Harley Style. This top quality Ride-On is totally everything a child could want, and features a steady three wheel design with elastic wheel tread for your peace of mind. Big Sale! Save Up to 60%! Cool Harley Style Motorbike! Cruise in the Range Rover, replicated with the shape and paint work just like the real car! RANGE ROVER EVOQUE RIDE ON CAR. · Foot pedal for acceleration. · With Horn. · Forward/ Reverse gear, Turn left/right steering wheel. Our goal is to make sure that you can find exactly what you are looking for and make it easy for you to place your orders. SKU: 46402. Bathroom Essentials. Babies & Kid's. Weight Capacity 34kg. Gadgets & Toys. Also features two detachable water bazookas! KG Electronic Pty Ltd. This Fire truck will make the best gift for an aspiring fireman! The realistic Kids Ride On Fire Truck design has most of the fittings found on a real one. Fire Truck Electric Toy Car - Red & Grey. Striking headlights and reversing lights. After all, safety is first with any vehicle, large or small. Powered no less than an upgraded 50W twin motor, the Range Rover replica can do from zero to 8km/h without breaking a sweat. Just how long it takes to get to that speed will, of course, depend very much on your child's weight.